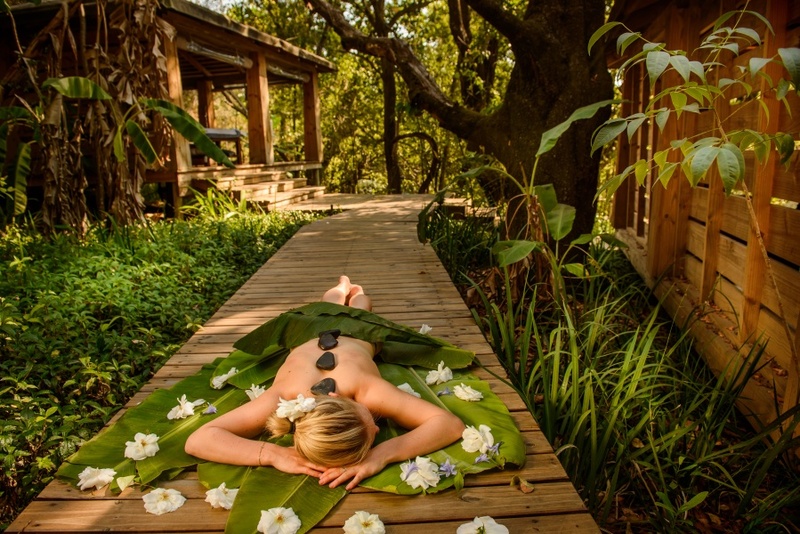 Summerfields Rose Retreat and Spa offers a luxurious 5-star spa and nature retreat on a magnificent rose farm in Hazyview, close to the Kruger National Park and Panorama Route. Gorgeous and very private tented suites are set beneath Jackalberry and Tambotie trees, each suite themed after a different rose variety and providing a relaxation deck with views of the Sabie River. Enjoy the Summerfields roses and fruit and nut orchards, and reawaken the senses at the sublime Rose Spa on the banks of the river. Fresh, organically grown food is served at The River Café and The Summerfields Kitchen. There's currently no specials at Summerfields Rose Retreat and Spa. Summerfields Rose Retreat and Spa does not have conference facilities.